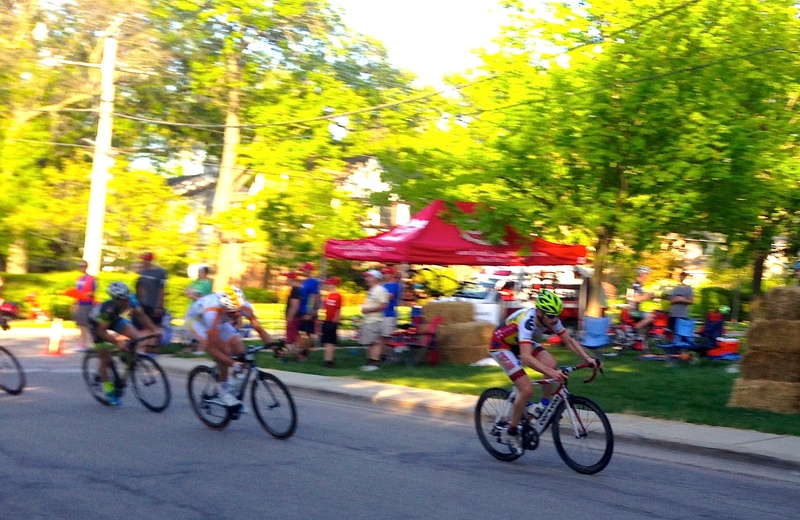 A select team of Texas Roadhouse Cycling racers showed up to compete in the USA Crit Series “Glencoe GP” in Glencoe, IL. 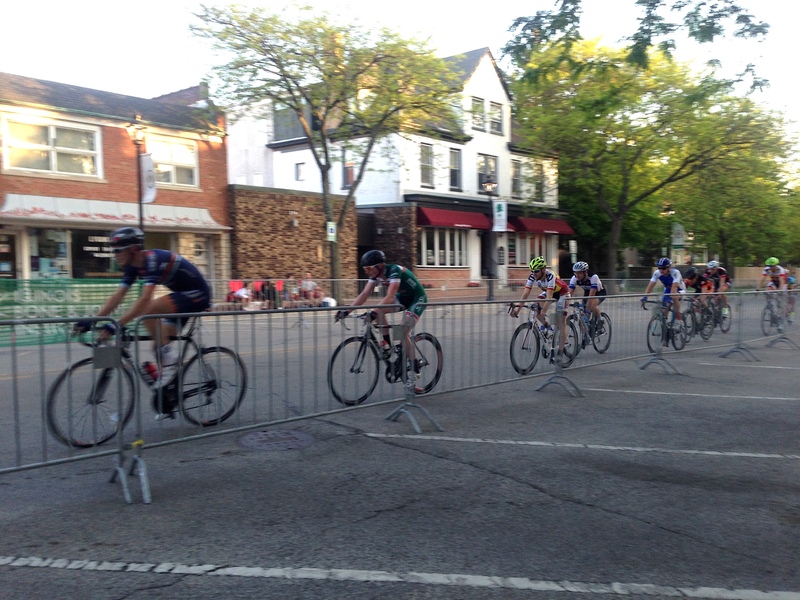 A stacked field of teams and racers took to the clockwise course of up and down streets in the picturesque Chicago suburb. 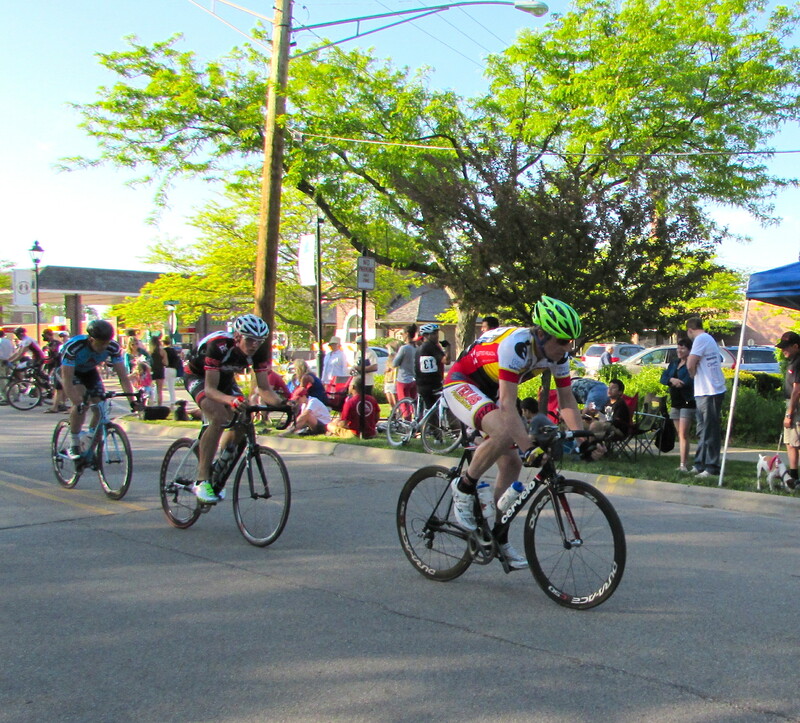 With a break gone for the entire race, the sprint was for 5th place. 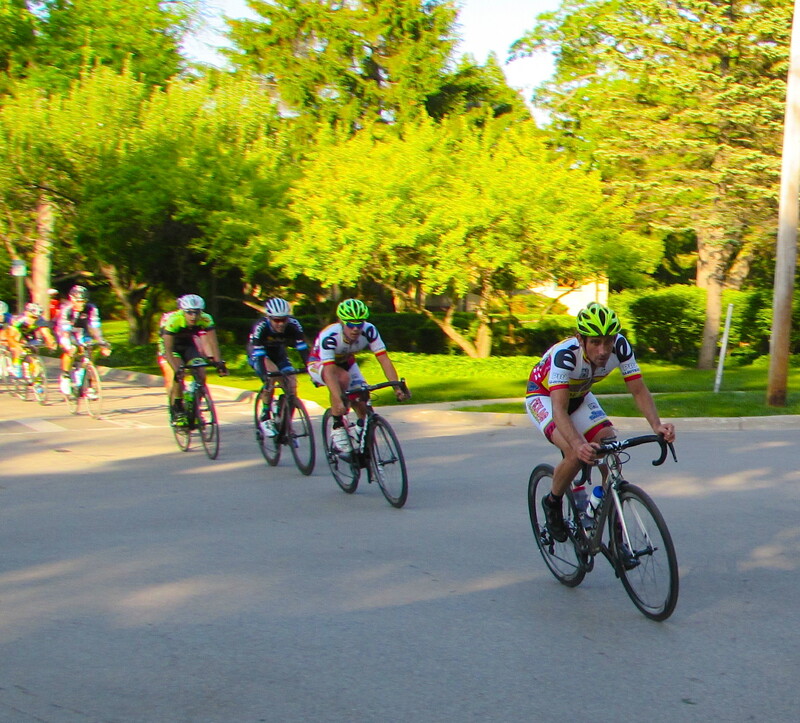 Against the mighty Pro teams of United Healthcare, Jamis Sutter Home and Athlete Octane, Texas Roadhouse Cycling racer Chad Burdzilauskas was able to bring it home for a sold 8th place. Chad Burdzilauskas leads Kyle Perry around Glencoe. 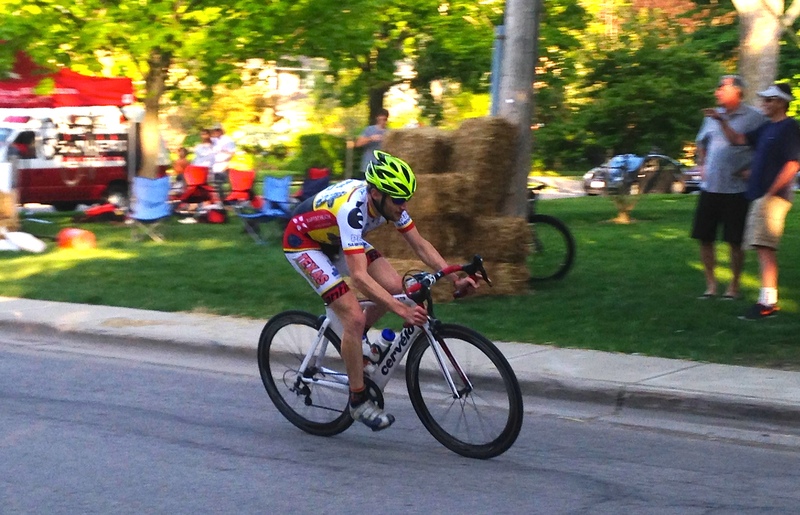 John Grant on his Cervélo R3 before his big crash took him out of the race. RJ Stuart full gas, even after a couple of restarts.